We have all experienced stress at different stages of our lives. From Back-to-school stress and preparations for upcoming holiday season to work life balance and even growing demands in generating more income for a family, stress can take over you. Prolonged periods of stress can negatively affect our health and lead to serious problems from heart disease to cancer. To help relieve symptoms of occasional stress in a natural and healthy way, Flora designed a supplement to called 4 Stress to maintain healthy stress response. Flora is a family-owned premium natural health products company; you can find their products in almost any health and wellness store across Canada. I use Flora’s Flax Oil every week and I was looking forward to trying more Flora company products. 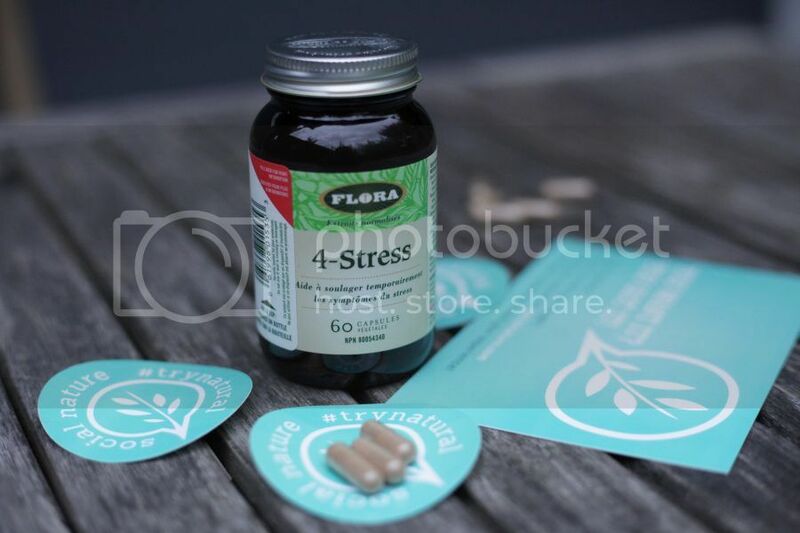 Flora’s 4-Stress contains a blend of four adaptogenic herbs that help you manage stress in a healthy way. Adaptogenic herbs help your body 'adapt' and reduce both mental and physical stress. 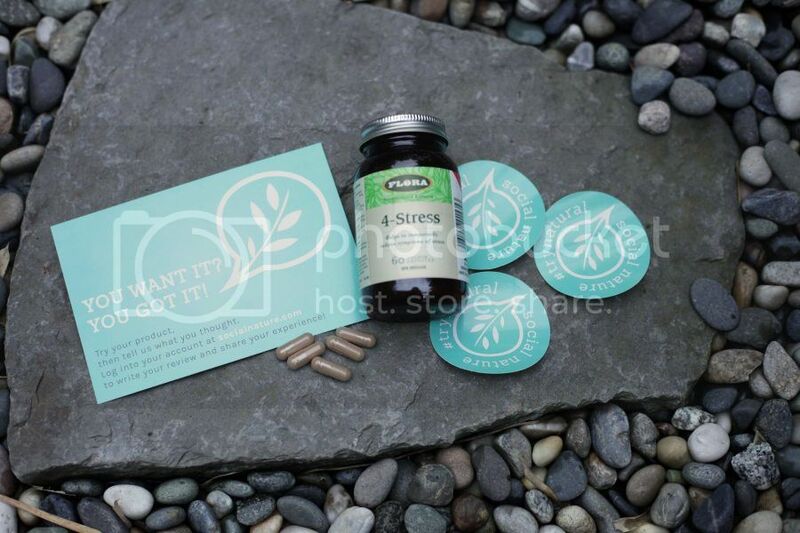 I used 4-Stress for a couple of weeks and I like the ability of supplement to relieve the body tension. When you are stressed you feel like everything squeezes inside you and 4-Stress helps the body to slow down a little, relax and support your body’s ability to manage stress. 4-Stress contains American Ginseng, Rhodiola, Ashwagandha and Schisandra Berry Extract to relieve symptoms of stress and help maintain a healthy immune system. The product comes dairy-free, gluten-free and vegan. For me Flora’s 4-Stress effectively reduces nervousness associated with stress and improves mental focus so you can evaluate situations stressing you and act accordingly. The supplements come in 60 capsules in a glass bottle format, they help relieve mental fatigue and the sensation of weakness. I like they come in a capsule form, easy to swallow. One capsule should be taken three times a day. Seasonal stress in on the way, I can feel it. We need to manage lots of tasks this fall. Just to mention few of them: the change from the routines of summer to a new schedule, new school for Teddy, new teachers and extra activities, plus new clothes, sports gear and outfit as kids grow fast and need new things almost every season. If you are interested in dealing with stress in a healthier way then check Social Nature and join to try Flora’s 4-Stress. With Social Nature you can try not only Flora’s 4-Stress but also many other natural and healthy products and other great natural products. 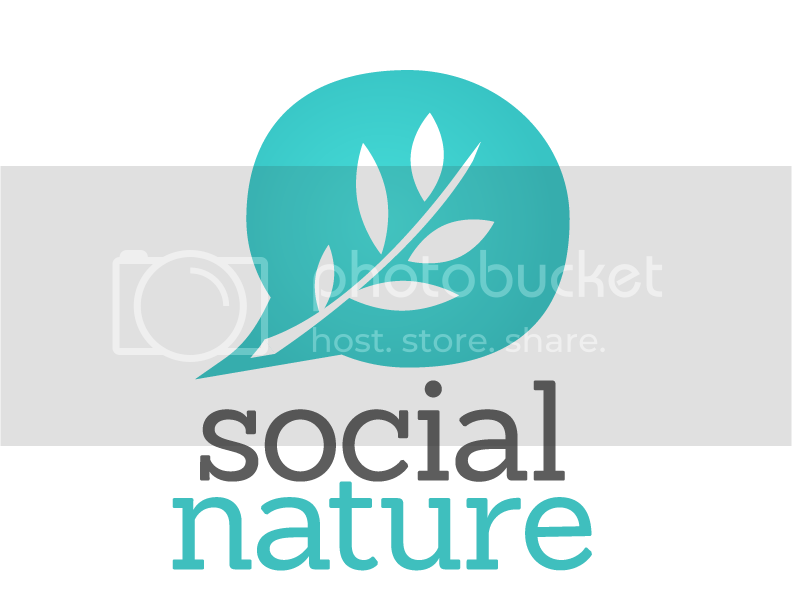 Social Nature is easy to use and you get natural products absolutely free. I was very pleased to try natural, made in Canada, product to relieve stress. Right now you can register and get FREE Flora stress supplements for yourself. Flora’s 4-Stress comes in full size format (60 vegetarian capsules), $34.99 value. See the difference and it may change your life for better.